Valleyfair Minnesota is the nickname of one of the most family-friendly amusement parks in the Upper Midwest. Located in Shakopee, Minnesota, roughly 25 minutes southwest of the Twin Cities, Valleyfair is chock full of thrills and chills for visitors of all ages. While not as expansive as mega-theme parks, such as Disney World and Six Flags, Valleyfair Minnesota offers guests a variety of exciting activities. In addition to traditional amusement park rides, Valleyfair is also home to a seven-acre water park, a high-octane Challenge Park, and an expansive family area. At the heart of Valleyfair Minnesota is an adrenaline junkie's dream. With more than three dozen thrill rides, Valleyfair knows how to keep its guests screaming for more. In addition, to familiar standbys, such as the Ferris wheel, Tilt-a-Whirl and bumper cars, the theme park also boasts a collection of serious scare-a-minute rides, including the Monster, Corkscrew and Power Tower, which feature hair-raising twists and turns that will throw you for a loop in more ways than one. Breakers Bay Wave Pool: Guests of all ages will love cooling off in this massive 350,000 gallon wave pool. 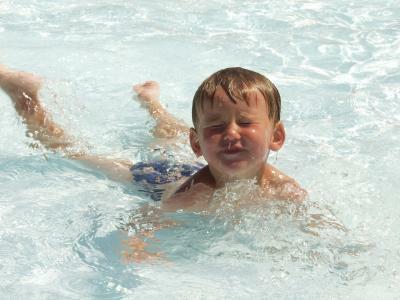 Older kids can catch four-to-six foot waves while toddlers can make a splash in the zero-depth entry which features gentle water spouts. Panic Falls Water Slides: Speed demons will have a blast zooming down the park's two speed body slides, which include a series of hairpin turns and sudden drops. Hurricane Falls: This splashtastic slide is designed for the entire family to enjoy. It features a four-passenger raft that navigates high-banked turns and scream-inducing drops. Ripple Rapids: There is no better way to relax on a sunny day than to grab a tube and journey on this 1,200-foot lazy river. RipCord: Hold on to your lunch because this 18-story skycoaster ride takes no prisoners. Guests are taken 180 feet in the air, and then with a pull of a ripcord they free-fall at speeds of up to 60 mph. Adventure golf: Choose from two super charged 18-hole adventure golf courses. Split-level greens and limestone rock obstacles are just a couple of the challenges awaiting putters of all ages. Go-Karts: Get behind the wheel of these jet-fast go-karts and challenge your fiercest rival on this quarter-mile track peppered with razor-sharp curves and lightening quick straight-aways. Valleyfair Minnesota is open seasonally from mid-May through the end of October. Hours vary, so it's a good idea to visit the company's website prior to planning your trip. Also, keep in mind that weekends are typically more crowded than weekdays, so if you don't like waiting in long lines, plan accordingly. In addition to its amazing array of thrill rides, Valleyfair also features a number of restaurants and snack bars, so you don't have to leave the park's grounds to refuel.